Alaska Native News Jul 8, 2016. Troopers report that a man who had barricaded himself in his home in Manokotak for six days following an assault on a family member has given himself up peaceably on Thursday. Troopers responded to the community of Manokotak on Saturday after receiving a report of a woman being treated for head injuries at a local residence. When troopers arrived and initiated an investigation into the injury incident, they found that 25-year-old Geoffrey Tugatuk had assaulted the woman with a handgun. When they attempted to contact Tugatuk at his residence, Tugatuk barricaded himself in the residence and refused to come out. After several hours of failed negotiations with Tugatuk, who was alone in the dwelling, troopers decided to depart and evacuate the injured woman to a safe location outside the village. For several days, troopers attempted to communicate with Tugatuk without success. Finally, on Thursday, “troopers, with the assistance of local community leaders, convinced Tugatuk to surrender peacefully,” the trooper dispatch revealed. Tugatuk was arrested and transported to Dillingham where he was remanded to jail on multiple charges of Felony Assault DV and Misconduct Involving Weapons. He was held without bail. 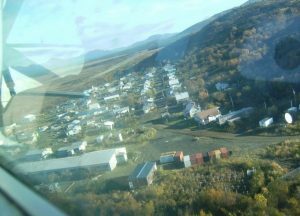 Manokotak, with its population of just over 450, is located in southwest Alaska, 25 miles southwest of Dillingham on the Igushik River. A newer village, it was formed in 1946 when the communities of Igushik and Tuklung consolidated.